You’ll still be able to get a venti Starbucks mocha in New York City next week. The coffee giant said Thursday that it doesn’t plan to change its offerings when the city’s ban on large, sugary drinks that is scheduled to go into effect March 12. “We’re not making any immediate changes,” spokeswoman Linda Mills told NBC News. Mills said the company doesn’t think its drinks are subject to the new regulations because many of the company’s signature drinks are milk-based, and most are highly customizable. The company’s interpretation of the new rules is that if the customer can customize the drink by asking for it to be sweetened or not, then it would fall outside the ban, she said. The rules also say that specialty coffee and tea drinks are only subject to the rule if they are less than half milk or milk substitute. The New York Board of Health voted last fall to ban food service establishments from serving nonalcoholic, sugary drinks larger than 16 ounces, as a way to fight the nation’s obesity epidemic. A venti Starbucks drink is 20 ounces. The rule applies to sodas and other drinks that contain caloric sweeteners, but it doesn’t apply to diet drinks, 100 percent juice drinks and items that are at least half milk, ice cream or milk substitute. In a statement, the city's health department said the rules will have no impact on 20-ounce cups of coffee unless more than four packets of sugar are added, and noted that coffee drinkers can add as much sugar themselves as they want. The plan to ban large, sugary drinks has drawn fierce protests from food service establishments and trade groups such as The American Beverage Association. The American Beverage Association and others also filed a lawsuit in October alleging that the city’s board of health bypassed proper legislative process and overstepped its bounds by passing the rule. 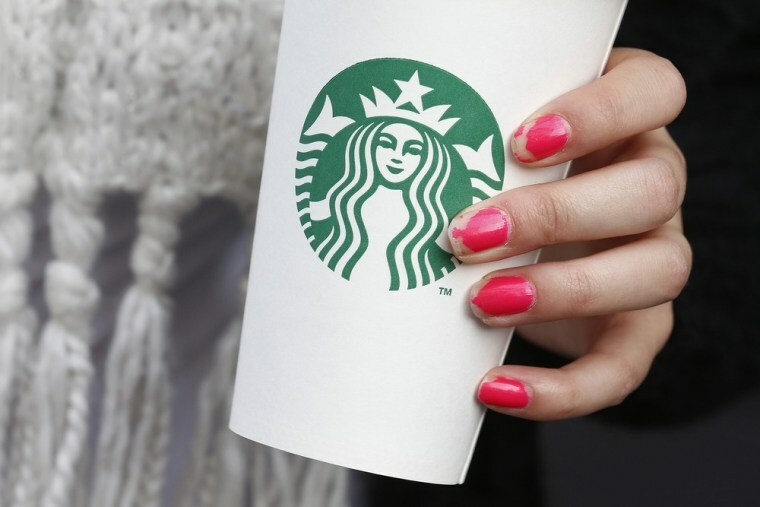 Starbucks isn’t part of the lawsuit, but Mills said the company also wasn’t planning any immediate changes because it is watching to see what happens with the litigation. In addition, she said, the company is taking advantage of a three-month grace period before the city starts fining companies for breaking the rules. Mills said the one item on Starbucks’ menu that they are looking at during this period is the Frappuccino. The sweet, frozen drink contains a large quantity of milk but also a large quantity of ice, she said. If the city decides that Starbucks’ needs to change it practices, “then we’ll make the appropriate changes to comply with the regulations,” she said.